It was clear Gollop was a fan: who else would know about the insect Zarbi, not seen since a single William Hartnell story, The Web Planet, back in the mid-1960s? The writer of The Key to Time, published by Leeds-based Lumpsoft in 1984, was probably a fan too. This was a text-only aventure which involved travelling to a number of planets mentioned in the TV series - none of their names were disguised the way Red Shift had done - as you seek to free the Doctor from Time Storms on the orders of the High Council of the Time Lords. Once again, the game is all about finding the (five now) segments of the titular Key. In addition to Who locations Skaro, a Sensorite Temple and Gallifrey itself, you found yourself typing in commands - N, S, E, W, Get, Enter, Pull, Drop, etc, etc. - to navigate around a zoo and a field and interact with the objects there. The latter has a solitary Cyberman to deal with - with gold, of course: "Use gold on Cyberman". 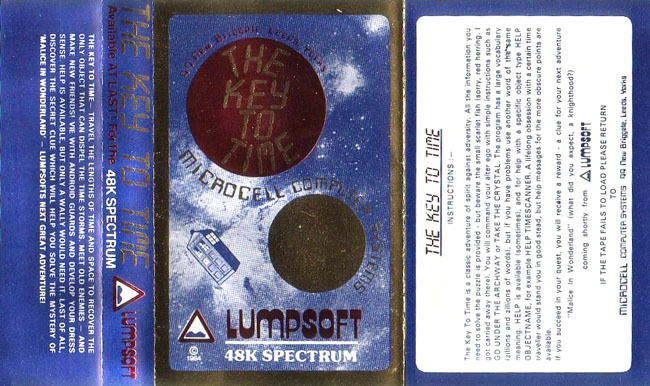 The Key to Time was written by a Leeds University Doctor of Pathology - a Dr Halkin - using Greame Yeandle’s popular text adventure compilation tool, The Quill, which allowed Lumpsoft to release the game on the Spectrum and the Commodore 64. 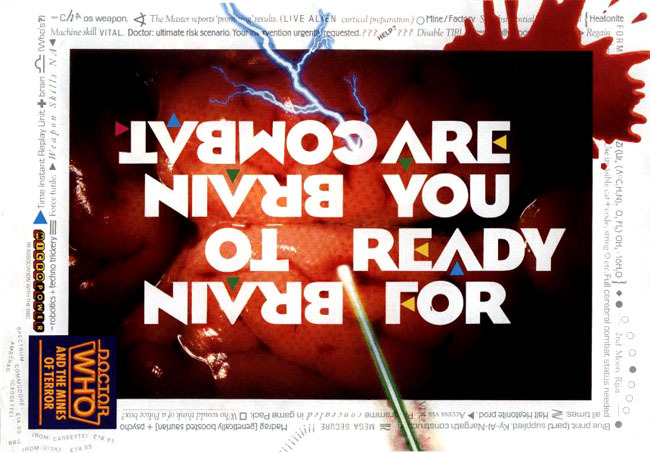 “Good-humoured, well written and a joy to play,” judged Sinclair User magazine at the time. Both titles had relatively low production values, but Micro Power’s Doctor Who and the Mines of Terror, announced in 1984 but not released until well into 1985, was a big-budget affair which actually featured the Doctor himself - in his Colin Baker incarnation - there on the screen in a kind of cross between an adventure, a side-scroller and a platform game. For all Micro Power’s cash, it didn’t want to splash out on licensing the Dalek name and design, so coder Gary Partis created a broadly similar looking robot enemy, the Controllers, for the Doctor to encounter as he romps through the mines of Rijar in search of the Master. No other series monsters or companions were licensed, so the Doctor had a Time Lord supplied robot cat, Splinx, to help him out with the shooty stuff. 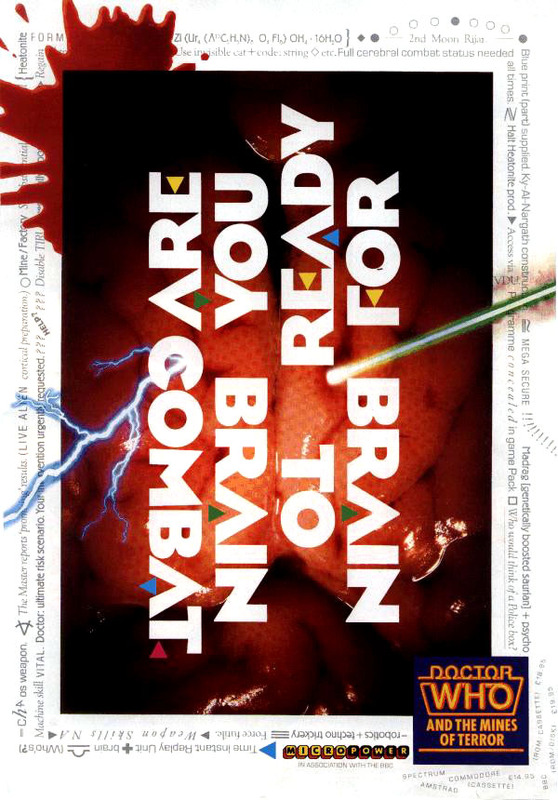 Partis wrote the BBC version; Tony Sothcot converted the game to the Commodore 64, while Ian Clemments worked on Amstrad CPC 64 and Spectrum versions, though the latter was never released. All of them had the Doctor roaming the mines and associated installations - he stayed at the centre of the screen while the world moved past him - seeking objects that can be then used to access special parts of the mines in order to locate other objects. In short, just like a text adventure but without the tedious typing in of commands. Micro Power promoted the game heavily but had to charge £14.95 for it because it shipped with a 16KB Rom chip that needed to be insterted into the BBC Micro (which otherwise lacked memory to hold all of the game’s data). That wasn’t a problem with the CPC 64, which got its version of The Mines of Terror in 1986, but it effectively prevented Micro Power from releasing the game on the Spectrum - at least not without extra, cost-raising hardware. Spectrum users were used to paying at most a fiver for games, not three times that. Thanks to the price, The Mines of Terror was not a major success, and the huge cost of its development did for Micro Power. Zzap! 64 magazine gave it 86 per cent, but Amstrad magazine Amtix only thought it worth 48 per cent. 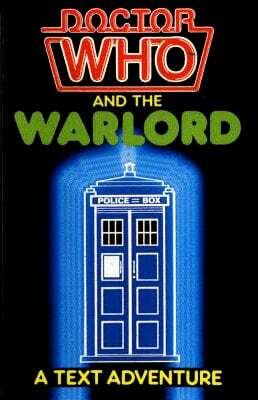 In 1985, the BBC tried its hand at another Doctor Who game, this time a text adventure, Doctor Who and the Warlord. It was designed by former show producer Graham Williams in partnership with a design company called Pluto, with the coding handled by Chessfield Microgames. “This adventure has been written entirely in machine code generated by the purpose-built TAG langauge,” the packaging boasted. It featured such refinements as a “sophisticated parser allowing more natural commands” and “magically fast responses”. The game came in two parts, one on each side of the cassette. Each part had more than 250 locations. Solving the first section yielded a code you needed to key in at the start of part two. Side One of the tape took you into the far future to tackle King Varangar, his “moody Bloodguards”, “interstellar gypsies” and “lurking androids”. Deal with that lot and you were up against Napoleon next, at the Battle of Waterloo. The Warlord was released for the BBC Micro. A Spectrum version was announced too, but never went on sale.